Droga5 and Covergirl needed a track that would match the high intensity of a workout with the incredible Massy Arias, who is a force of nature. We started with a minimal drum-line piece and added layers of gym sounds; weights dropping, machines clinking, even getting Massy to come in and record some breathing and movements in studio to make it feel really authentic. What resulted is a powerful combination of heavy hitting percussion mixed with the raw sounds of a fierce workout with Massy to create an epic track that helps bring this piece to life! As always, thank you to the Droga5 team for bringing this our way and we are thrilled to be showcased as part of SHOOTS final Top Ten line up of the year! As an artist, Drenik’s music has been critically acclaimed by Rolling Stone, Billboard, Magnet Magazine, Classic Rock Magazine, Metal Hammer, Paste Magazine, Consequence of Sound and many others. He’s toured the world, having shared stages with the likes of Metric, Arctic Monkeys, Veruca Salt, The Toadies, Blue Cheer, DMBQ, Monster Magnet and many others. He also runs the Portland-based collective and label Get Loud. His music has been featured in films, television and commercials, most notably FX’s Sons of Anarchy (where he was a contributing composer) as well as an appearance (Metal Heavy Lady) on Guitar Hero 3. Not to mention, his version of Neil Young’s “Hey Hey, My My” for SOA has over 30 million YouTube hits!! We’re excited to have him on board and can’t wait to see what 2019 will bring! Because women are more than half of the world’s population, and half of the creative voices, we can’t afford to miss out on HALF of the creative pool. Women are the number one consumer group and make for 85% of product purchase decisions. We need more nuanced work that speaks to them. Cultural misrepresentations of women are perpetuated by an overabundance of male storytelling. Women directors, editors, colorists, composers, will organically change the way women are represented in advertising, to the benefit of our mothers, our sisters and our daughters. In 2019 we will continue building our female talent pool and we’re grateful to Alma and the rest of the Free The Bid team for encouraging and promoting that creative women have their voices heard! This beautiful, authentic campaign for Teleflora instantly pulls at the heartstrings. We loved working with The Wonderful Company to create a music bed that left enough space for these real life stories of strong women to shine. We are so thrilled with how the campaign turned out and we’re over the moon that “Cara” was included in SHOOTS TOP TEN line up for Fall 2018 alongside a lot of amazing music! It is safe to say that Saatchi & Saatchi blew everyone away with their powerful and moving “Start Your Impossible” campaign for Toyota, so it was no surprise when the campaign won 3 Clios and 5 Cannes Lions – Including a Gold Lion!! We feel honored to have been a part of it and as always we appreciate the amazing team at Saatchi for bringing this extraordinary project our way. We love what we do at SOUTH but it is always an added bonus when we receive outside recognition for the music that we make. The killer hip-hop track we wrote for Reebok was nominated for “Best Original Music” at AICP this year and we couldn’t be more proud! A huge congrats to all of the other nominees and thank you to the team at Venables Bell + Partners giving us the chance to be a part of such an awesome project. One of a handful of important and inspiring films that Saatchi & Saatchi produced for Toyota and the 2018 Winter Olympics, this spot was desperate for a special and unique score to help tell Ashley Wagner’s powerful story. We honestly cannot imagine a more perfect accompaniment, than this gorgeous re-imagining of the Metallica classic, “Nothing Else Matters,” which we had the absolute pleasure of creating. The opportunity to get into the studio and reinterpret this Heavy Metal staple with such talented musicians was an experience we will not soon forget. For this project, Reebok teamed up with Luis Badillo Junior, the man with the 'fastest feet in the world' for their newest "Fastest Flexweaves" campaign. Luis is a top ranked trainer who's client list includes a number of NFL, NBA and soccer players, including Marshawn Lynch and Cristiano Ronaldo just to name a few. In keeping with the pace of the campaign, SOUTH created this totally original and absolutely relentless track, featuring the rebellious vocals of Young Hoffa. Shoutout to Venables Bell for continually being a part some of the coolest work we get to do here. This one was no exception! Coca-Cola & Wieden+Kennedy team up with SOUTH for "The Wonder Of Us"
Helping to bring a beautiful piece of poetry to life through music is no small task, and that’s just what we set out to do in our Super Bowl collaboration with W+K and Coca-Cola. It takes the right balance of emotion and restraint to score a film like this, and we couldn’t be more proud with how it turned out. We were thrilled to partner with Highdive to create a score for their first Super Bowl spot. Getting involved at the animatic stage, allowed us to create music that let Dr. King’s speech take center stage while still giving it the gravitas it deserved. Special thanks to our friends at Spark 44 for giving us the opportunity to be involved with this heartwarming holiday spot. What a way to round out the year. Getting to compose an original score on a spot directed by the legendary director, John Singleton (Boyz in the Hood), was quite an honor. But having it chosen in Shoot’s Top 10 was the icing on the cake. Thank you to Battery for always bringing us the best work. 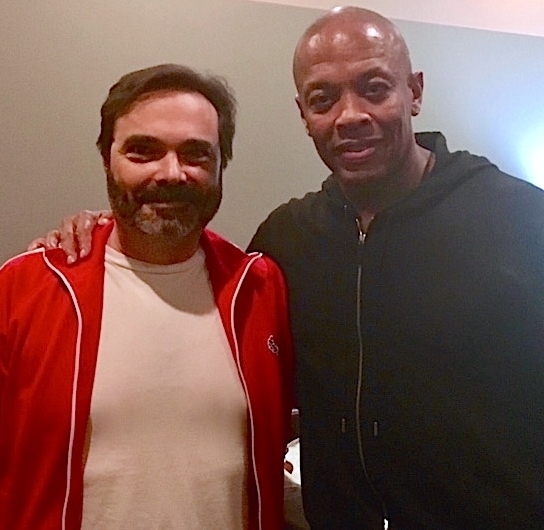 We are extremely proud of the epic sound design created by our very own Jay Nierenberg on HBO’s new docu-series, Defiant Ones, which tells the compelling story of Dr. Dre and Jimmy Iovine. "It’s impossible to describe just how cool it was to have Dre sitting next to me while I was mixing scenes of him mixing his own music! I guess I can retire now.” - Jay Nierenberg. We had the pleasure of working on a super fun licensing project for Levi's earlier this year and it took the #4 spot in the SHOOT Spring 2017 Top Ten Music Chart. "Nothin Like This" by The Phantoms is the track that completed the indie rock vibe for the spot. A big thank you to Levi's, FCB San Fransisco and everyone that contributed to make this project a success. Back in December, SHOOT released their picks for Best Work of 2016. We're honored to claim top spot for the 2016 Music/Sound category. We partnered with the great team at TBWA/Chiat/Day LA to create a beautiful score for the inspiring story of Ella Delle Donne and her older sister Lizzie. Thanks to everyone involved and to Gatorade and Chiat for bringing us this amazing work. Check out the article here and the spot here. Please join us for a night of music, tacos and drinks! We'll start the party at 6pm and carry on till the good stuff runs dry. @madsteez recently tagged up our wall with some rad color, so he'll be here to celebrate with us. Check out the flyer attached. Can't wait to see you here!